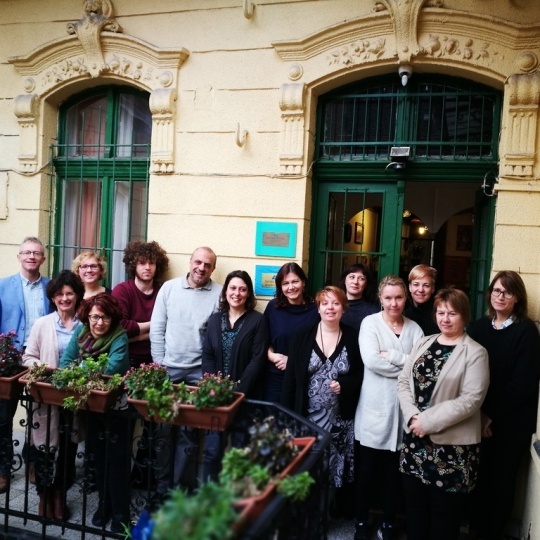 Last week, the seven partner organisations who will be working together on the SEED project met in Budapest for the Kick-off Meeting. SEED stands for Social, Emotional, Education and Development. Our goal is to raise awareness about the importance of psychosocial well-being for young children’s learning and development. Especially children growing up in difficult circumstances such as children on the move, with a low socio-economic status or children who are victims or witnesses of domestic violence. The project will conduct a country level screening of psychosocial well-being of 5-year-old children in 5 countries in Europe. International Child Development Initiatives (ICDI) coordinates the project with Margaret Kernan as Project Manager. During the meeting the research that will be conducted as part of the project was planned. Also the development programme that will be implemented in order to build practitioners capacities to support psychosocial well-being, was on the agenda. Queen Maud University College of Early Childhood Education (QMUC), Norway; Open Academy Step by Step, Croatia; VBJK, Centre for Innovations in the Early Years, Belgium. The project’s external evaluator, Davide Pietro, also attended.